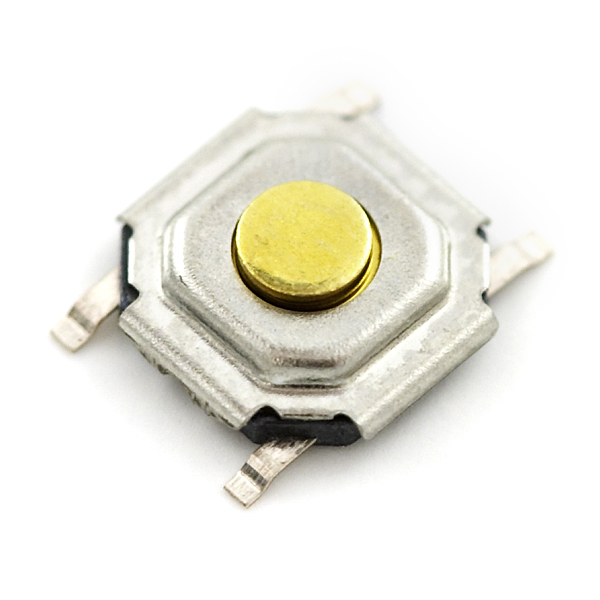 Incase anyone needs it, Ive found a different manufacturer (stocked at DigiKey and Mouser) who makes this identical button. Thank you, these are hard to find in quantity. Also similar to Alps SKQG (stocked at Mouser, not Digikey). The SKQG performs excellently. Spec'd for 100 000 operations, but I tested them for 200 000 and they still did well with 30ms software debouncing. Unfortunately I forgot to measure the actual bounce times after the 200 000 switches at the time. Be sure to place a small cap in parallel with the switch to keep the contacts clean. Aren't thes the ones Sparkfun uses on the RedBoard? Does this switch have two separate lines that are connected by the switch? In other words, if I use this switch to control whether or not two components are grounded, are the two components isolated when the switch isn't pressed? Thanks! Would be nice if the description mentioned the exact name of the part in the Eagle library. I can't figure out a way to match them other than by looking at the part footprint to make sure it's the same. Any better suggestions? would these work well for building a micro-keyboard? They're a bit difficult to press. I don't think they're very durable either. "SMD Tactile Push Touch Switch Key Button"
These look just like the ones on the Arduino Pro/Pro Mini! Does the supplier that you get your knobs and stuff from supply D-pads? 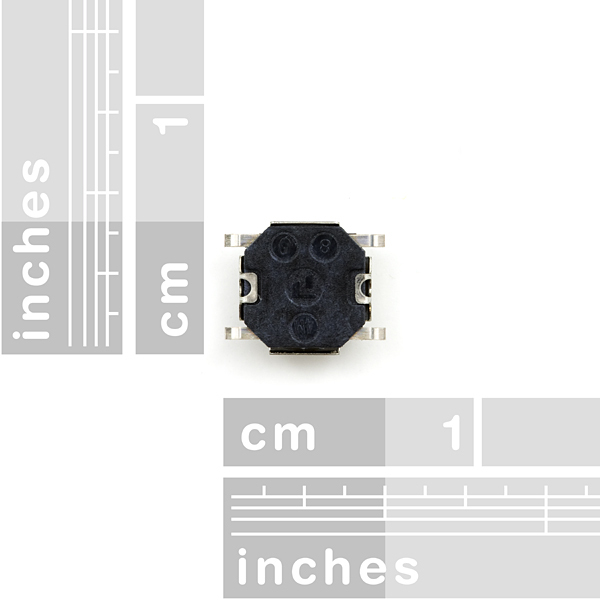 If so I think it would be great to make a D-pad break out board with this SMD switch. I used these buttons for my project for user input, unfortunately I have found a 75% failure rate with these. How frustrating!! That's interesting, we build those onto hundreds, and hundreds of boards, they are generally great little buttons. As Mike said, you may contact Technical Support for more assistance. Thanks guys, I'll contact tech support and see what they say! These are my go-to button for many projects. They are high quality, have an excellent click with a great feedback feel. They are small and sturdy. This is a great multipurpose switch. 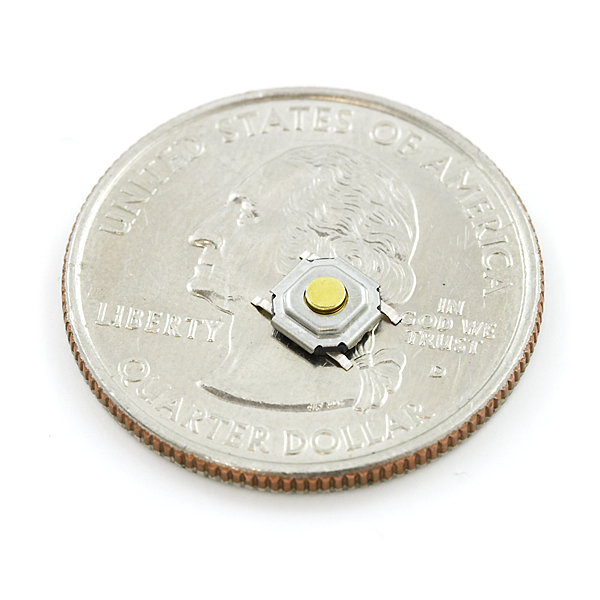 It's easy to solder onto a PCB, and the size is perfect for small applications. 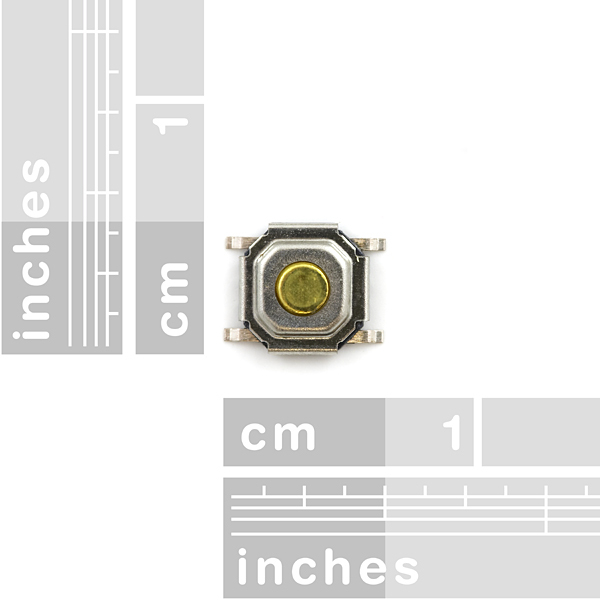 I suggest downloading the SparkFun parts library to put this switch into your CAD sketch.